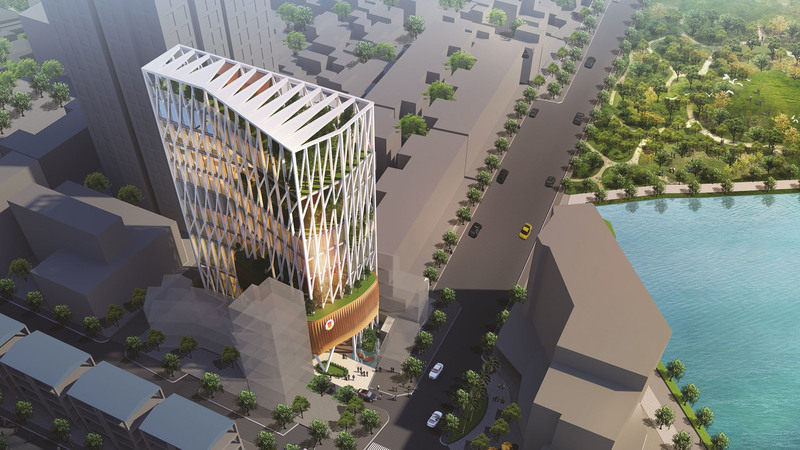 The State Audit Head Office is located along a high density, busy street of Hanoi, which is offset by the project’s two vantage points: the first towards Giang Vo lake and the second toward Nguyen Cong Hoan Street, an airy street having few high-rise buildings. Although the shape of the site is irregular, it is an inspiring element to challenge the architect’s creativity in designing a specific and distinctive architectural concept for the project. 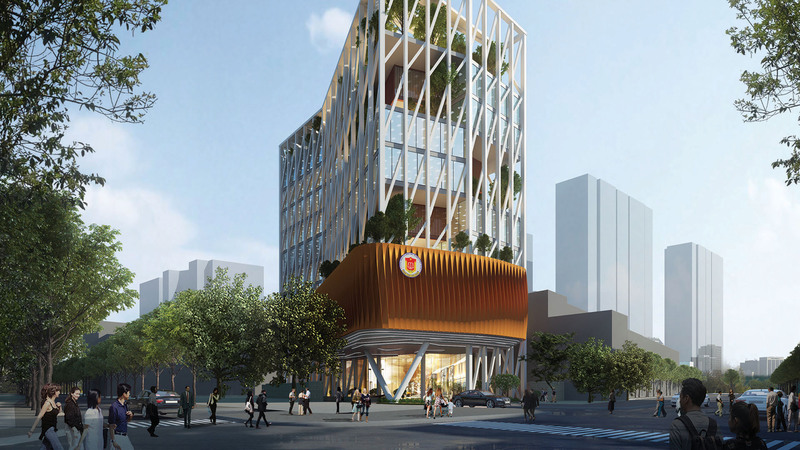 The general intent for the building proposes a modern architectural cube with a strong and methodical appearance. The arrangement of functions defines clearly the project’s spaces, including office and conference room spaœ. Green spaces are natural carpets arranged alternatively between floors and the back of floors. The entire first floor is designed for the main hall and public spaces. 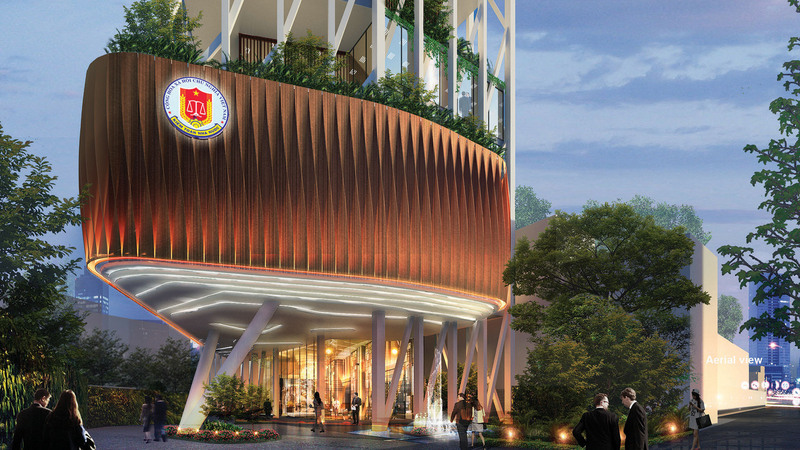 The second floor is proposed for the conference spaces. The third to sixth floor comprise office space. The seventh floor consists of the canteen for staff. The eighth floor is used for experts’s accommodation The top floor is planned as a cafe and leisure space. The angles of the site will be rounded, with the concept proposing proper functions such as guest space, storage or landscape to restrict any “dead’ angle. In particular, the concept proposes the main building core to be located at the busiest part of the site to save space but still satisfy functional needs.